Students who care about the health and well-being of animals, enjoy working with the public, and are good at math and decision-making should explore exciting training and career opportunities in veterinary medicine! The Veterinary Science program is a two (2) year program that teaches animal science and the care of animals, including animal structure and function, principles of health, and microbes and disease. The student will develop basic skills and techniques of assisting the veterinarian in the following areas: receptionist duties, animal examinations, the handling and care of animals, first aid and surgery, and maintenance of equipment and facilities. On-the job clinical instruction may be provided for qualifying students. 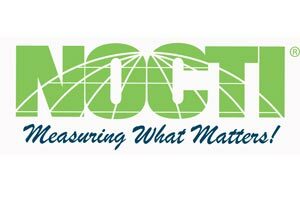 Upon completion of the program, students are eligible to take the N.O.C.T.I. (National Occupational Competency Testing Institute) industry credential test (Small Animal).